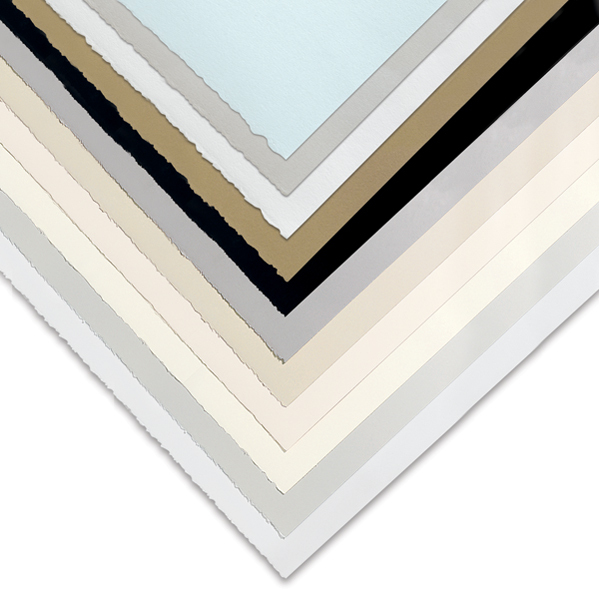 Stonehenge is a traditional fine art paper with a smooth, flawless surface that is slightly mottled to resemble actual vellum. Use it for watercolor, printmaking, pen-and-ink, pencil, or pastel. Stonehenge is machine-made in the United States, from 100% cotton fibers. It's acid-free. Each sheet has two deckle edges. Sheets are available in either a 90 lb (250 gsm) or 120 lb (320 gsm) weight, and in a variety of colors and sheet sizes. Stonehenge is also available in 50" × 10 yd (1.3 m × 9.1 m) rolls, so you can choose your own size.